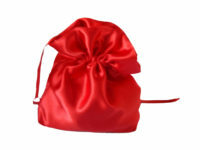 Posy Bags, or satin bags, by Simples Yorkshire were created as a pretty, useful and less expensive alternative to bouquets for the bridesmaids. 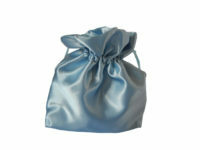 The posy bags shown are made of satin with a polyester lining. 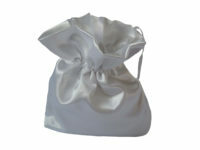 They can be made of different fabrics and colours to match the wedding. Where else is a bridesmaid to keep her make up or mobile phone? 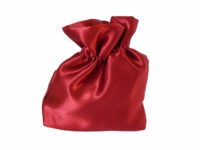 They can also be used as an evening bag or for other similar events. 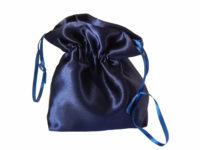 All enquiries about special orders can be made using the Contact Form. Please allow time for making up of orders.